Time spent in East Liverpool, Ohio by John Wick ended up having a significant impact to the area north of Kittanning. At that time there wasn’t much development north of Chestnut Street. East Liverpool was the pottery capital of the world and there wasn’t much of an enterprise of this kind in Pennsylvania then. 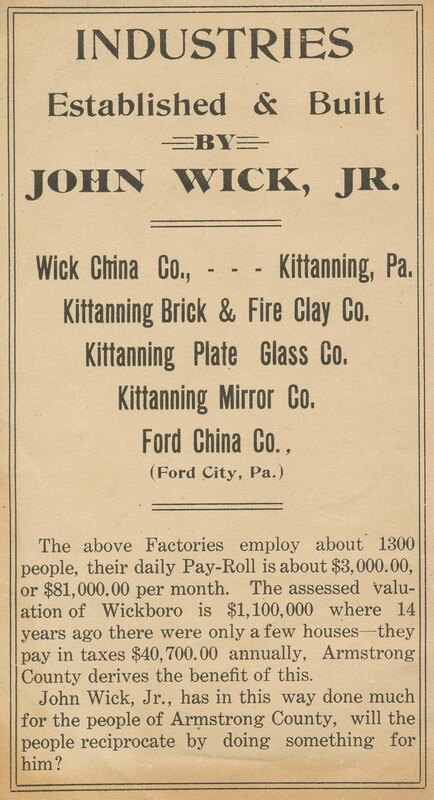 After spending time as a store merchant in the pottery capital after leaving Kittanning, John Wick Jr. learned the ins and outs of the pottery trade and contemplated bringing the industry back to his home. Not only did he learn the trade, he became one of the largest industrialist in the pottery trade. This is Ford China Company that became Eljer. 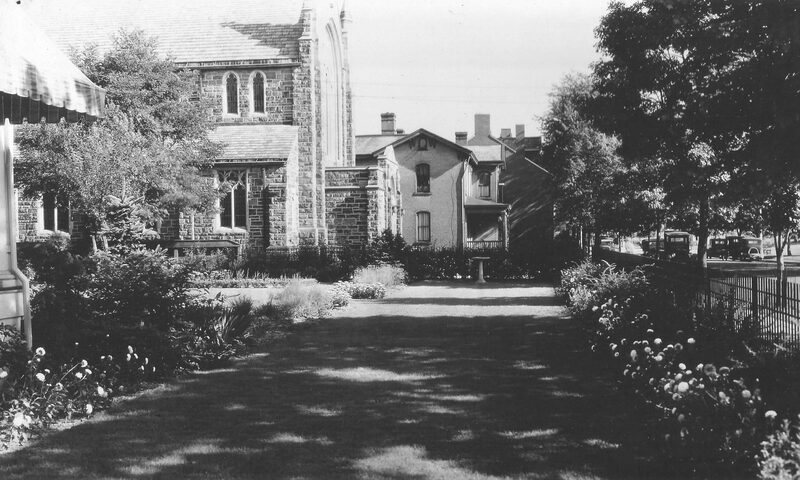 Wick China was similar in design and also isolated on N. Water Street which is the present location of the YMCA. The area would appear the same before the lots where laid out and houses built. Hard to imagine at one time that a little area was pretty much self-sustaining for the family needs. 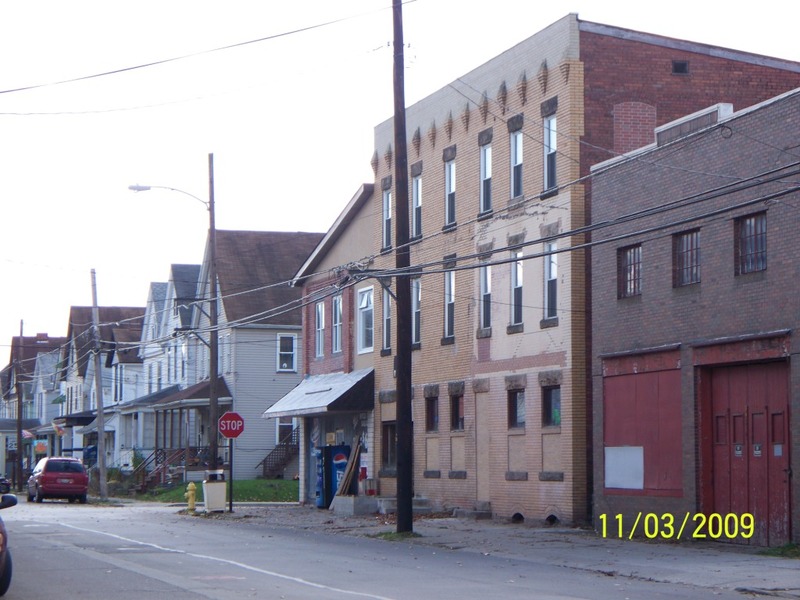 When Wick Boro was formed around 1900 your families life events were within a couple block area. In this locale was your school till 8th grade which was 4th Ward School on Wilson Avenue being the 1100 block. Several churches dotted the neighborhood and you either work at the Wick Pottery or Kittanning Plate Glass Co. in the 1200 block of N. Water St. What was considered the Wick Boro business district located in the 11oo block of Orr Avenue and Montieth Street were some of the following business until at least the 1920’s. The main focal point was the Orr Ave Hotel 1103 Orr Avenue, Rambach and Caplan Grocer at 1101 Orr Avenue, Arthur Donaldson’s Restaurant, 1119 Orr Avenue, Foulis Pharmacy 1046 Orr Avenue, E.E. 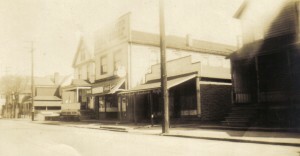 Ritchey’s Store 1048 Orr Avenue. 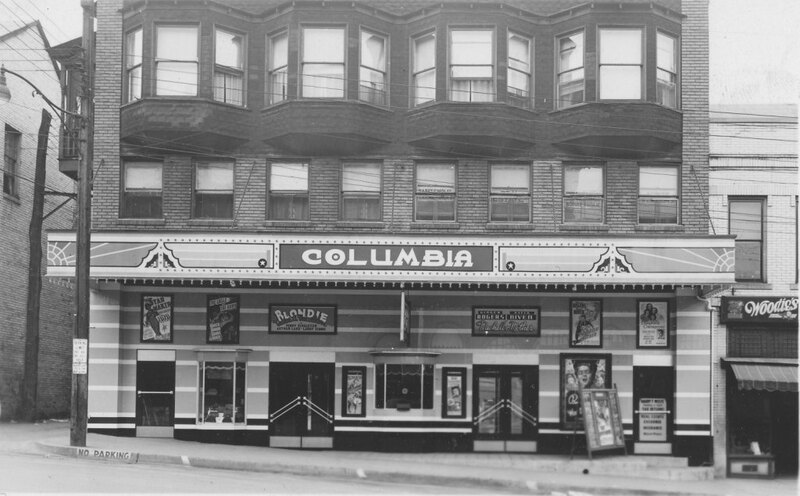 Even a bowling alley and billiards by Harry Rumbaugh at rear of 1106 Orr Avenue with Gus Kirscht having a barbershop in the front. This was located across form the Orr Ave Hotel. 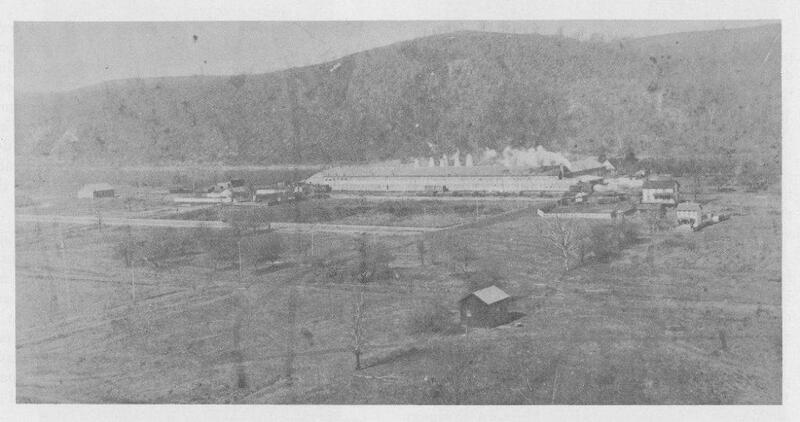 The trolly car ran through the center of Orr Avenue to town, and eventually to Lenape Park south of Ford City. Orr Ave Hotel – one of the hubs in the business district of Wick Boro. 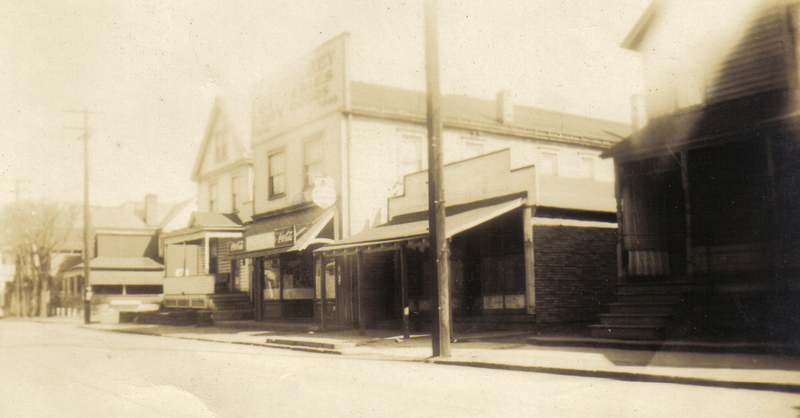 Rambach and Caplan had a grocery store at the corner building. This truly was the meaning of community, newer forms of transportation later give us the ability to go elsewhere for our needs, but maybe it wasn’t so bad when ours needs came to us instead. Several of your social events took place in your community also. The 4th Ward Ball Park which had a grandstand was at the location of the Kittanning High School. Nightly games just a few steps from your house. Square dances and old time fiddle players entertained at the fire halls. Some of these events were held as fundraiser for local needs. Recently I was visited by John Wick’s Great Granddaughter who was generous to share and give me several pictures and artifacts regarding the life of John Wick Jr. It was remarkable to discover that he truly believed in Kittanning and and was progressive in it’s development. 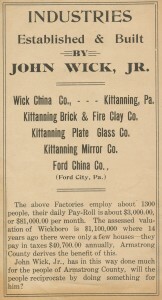 When you read of accomplishments in history regarding industrialist, like Andrew Carnegie in Pittsburgh for Steel Development, John B. Ford in Ford City for Plate Glass Production, John Wick Jr. was one of the most responsible individuals regarding the development of upper Kittanning(Wick Boro). John Wick Jr. continued into the Theatrical and Movie Entertainment business later in life. 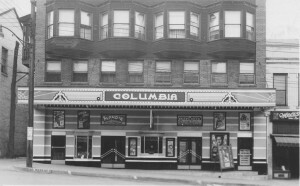 In 1913 he oversaw the building of the of the Wick Opera House which later became the Columbia Theater. 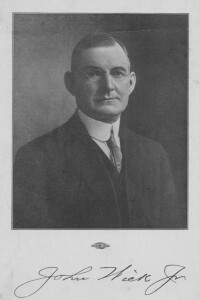 His ownership of the building saw it rebuilt from two major fires, one in 1926 and the other in 1932. We lived at 1000 Wilson Ave, went the Fourth Ward school, then it was only to 6th grade. I did know a lot of the history of Wick City. There was the pool hall that sold penny candy, and Cousins grocery store that I was sent to get bread or milk if we had ran out. Mervis furniture store, Slagle’s Meat market, Bowser’s grocery store. More that I can’t recall the names of, It was a nice little area. Anyone have any images of Bowser’s store? My Grandmother McGann lived on Orr Ave when raising her family of 8. My husband, Howard grew up at 1150 Orr Ave. I always wondered how it came by that name. Thanks for posting. I, too went to fourth Ward. We lived on Highland Ave just about a block from Wilson Ave. I was in 3rd grade when our family bought the home at 1150 Orr Avenue, in the early 50’s. We moved from 234 Chestnut St. What a great childhood, living in the heart of Wick Boro, (City) as we knew it then. I will never forget the great sense of belonging, when we lived there. I left in 1966 for the USMC. It was a great foundation for a good life. Thank you Kittanning. Does anyone know how long the Kittanning High School football was in use? When it was built? 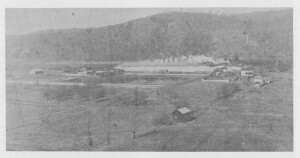 The early football field was where the Kittanning High School is now. It started in the early 1900’s as a baseball field and then became used for football til 1940’s then moved to current site. It was then called Gilpin Field(at High School location) named after the family that owned the property. In the 1934 Kittanning yearbook it shows a photo from across Johnston ave. and stated that was the 1st year for lights.